By Eden Law (Fukushima-ken, 2010-11) for JQ magazine. Eden currently serves on the JETAA New South Wales committee in Sydney, Australia as the online social media, webmaster and occasional editor. Got feedback? Leave a comment below. In 2013, the JETAA Initiative project was launched by the United States-Japan Bridging Foundation (USJBF), with funding provided by the The Japan Foundation Center for Global Partnership (CGP). The first phase of the project was to assess the feasibility of a national JETAA organization, with the next phases dealing with the structure, duties and objectives of the new organization. The first phase (feasibility study) has now wrapped up and its findings presented at the September 2014 National JETAA USA Conference, and the next phase is currently underway. 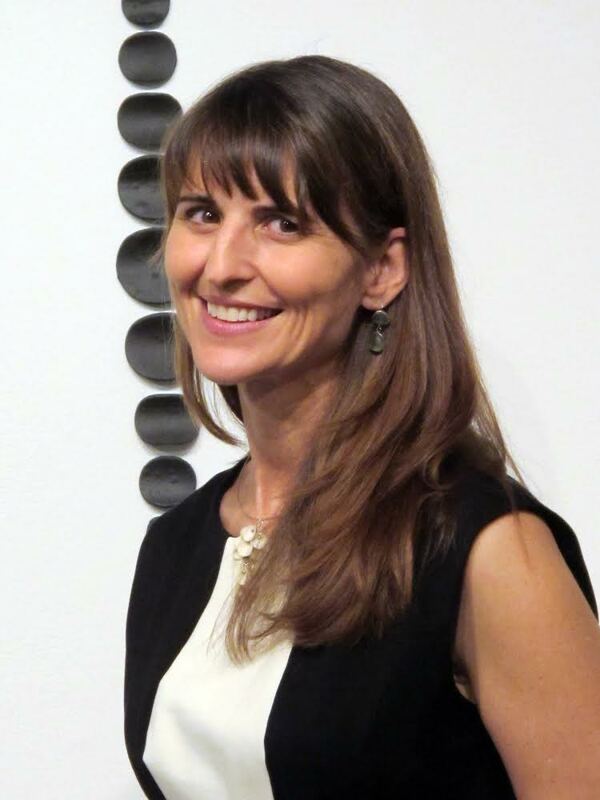 JQ spoke with Laurel Lukaszewski (Kagoshima-ken, 1990-92), JETAA Initiative project director (who is also a highly noted, Washington D.C.-based ceramic artist in her own right), who kindly gave her time to discuss the JETAA Initiative, the findings and next steps for the project. How did you come to be selected for the role of project director of the JETAA Initiative? I applied for the position after I saw the job announcement posted in a number of different places. I work as an artist full-time, but my schedule is flexible and I thought this would be an exciting project. In my previous career, I was the executive director of the Japan-America Society of Washington, D.C. Before that, I worked for the Japan-America Society of the State of Washington in Seattle as their program director. I’ve also been part of the JET selection process for over 15 years (reviewing applications, interviewing, working at the embassy as the review committee liaison for two seasons). I have also been a board member of the National Cherry Blossom Festival since 2002 and have served on a number of arts-related nonprofit boards and committees over the years. I was also the secretary, then president, of the JETAA Pacific Northwest chapter in Seattle in the late ’90s, so JETAA is near and dear to my heart. It’s been a year since your appointment. What were the main challenges you faced as a director? While not exactly a challenge, it has been paramount to reach out to all 19 chapters in the U.S. to give them an understanding of what we are doing and why we think creating a national organization is necessary. To do this, both [JETAA co-founder] Paige Cottingham-Streater (Mie-ken, 1988-89) and I have attended national and regional conferences to give presentations and speak with alumni to garner their support. We have also made site visits to chapters in Kansas City, Atlanta and Denver to find out what challenges exist at the local level. It was also imperative to show the progress we made over the first year to our funder, The Japan Foundation Center for Global Partnership, so that we could continue. Why was there a need to examine to conduct a feasibility study on whether a national organization was required? The only way a national organization will be successful is if the JET alumni community wants it. This is being created for them. I believe very strongly that a national organization will strengthen the network and relationships between both chapters and individual alumni, as well as elevate the status and recognition of the JET Programme and its alumni in the greater U.S.-Japan arena, but the JET alumni community needs to believe this, too. We hope that the national organization will provide much needed support to smaller chapters and give alumni who live outside of large cities a way to connect to the broader JETAA community. Considering the number of organizations that work in this field [of U.S.-Japan relations], what can a national JETAA organization bring to the table that isn’t currently being offered by anyone else? JET alumni have a unique perspective on Japan: In Washington, D.C. there are many people who have worked with Japan in different capacities, but very few have had the opportunity to become part of a community in the way that JETs have. This provides insight into the U.S.-Japan relationship that many other individuals do not have. In addition, there are a number of JET alumni working in US-Japan fields who could benefit from knowing that other JETs are working in related fields or organizations. It is an opportunity to connect JET alumni professionally and propel the U.S.-Japan relationship forward. I’ve heard of JETAA USA, and to me, as a non-American, that seems like a national organization. What would be the difference between JETAA USA and this national organization you are currently developing? JETAA USA was created to address the requirements of JETAAi and to oversee the selection process of Country Representatives. It has done a very good job connecting chapters on the national level, but it doesn’t have an elected board (it has an appointed board of advisors, all of whom are volunteers), and doesn’t have the capacity to raise funds or support chapters on a broader level. The national organization will have an elected board of directors, 501(c)(3) tax-exempt nonprofit status (meaning it can undertake fundraising), and it will have a professional, paid staff (meaning there will be someone responsible for the day-to-day operations and success of the organization). I should note that all four of the JETAA USA board of advisors are part of the JETAA Initiative Working Group and have provided important input and guidance over the past year and a half. How much did the survey results contribute to the formulation of JETAA National’s objectives? The survey obviously focused more on individual needs, whereas JETAA National’s goals are more high level. How do the two relate? The survey provided insight into how JET alumni view their relationship with their local chapter and JETAA as a whole—or lack of a relationship with it. It also helped us better understand what programs and issues alumni find most interesting/important. This information is most useful to local chapters, but because the purpose of a national organization is to support local chapters, it gives us a sense of the type of support chapters might need and the challenges they face. It also provides an understanding of what independent alumni (those not affiliated with a JETAA chapter) might want from a national organization. Turning to the survey results which was outlined in detail in the presentations, you received a total of 381 responses. Were you expecting higher/lower responses? How did you incentivize people to take part? We were happy with the number of responses and felt that it was a large enough sample size to give a valid sense of what JET alumni are experiencing. Of course, we would have loved more input, but felt good about what we got. We had a “sushi incentive” for the chapter with the most responses (the D.C. chapter won). Was there anything that surprised you about the results? What were you expecting? I was impressed with the number of “older” alumni who answered the survey, and who still have an interest in the community. I also appreciated how many people took time to provide narrative answers to some of the questions. It provided additional insight and detail, which helped us better understand the perceived needs of the JETAA community. The demographic of those who responded is very interesting—if I was to make a (probably over-) generalization, it would seem the typical member is aged between 25 and 35, and comes largely from an educational, academic, or non-profit sector, maybe including the public sector. In your opinion, should JETAA be concentrating primarily on this demographic, or is it important to be as inclusive as possible? I think that it would better serve the entire network to be as inclusive as possible—people often change career paths and most have broader interests than just their own profession. That said, I think knowing the characteristics of the majority of engaged alumni could help define some of the national initiatives we might undertake. If inclusivity is important, what strategies do you think would help expand the reach of JETAA? Having a better online presence and providing resources that are accessible to alumni no matter where they are would help. I would love to see a caravan program travel to cities that don’t have as many resources, so that JET alumni and their communities can have access to information/speakers/activities that they might not have otherwise. A universal concern for all JETAA chapters globally, in my opinion, is relevance, particularly if we are to remain a viable and dynamic organization. What does relevancy mean to you, and how will the formulation of a national JETAA organization help chapters be relevant? The whole impetus for the creation of a national organization was the recognition by CULCON of the potential power and reach of the JET alumni community. We have also had conversations with people at the Embassy of Japan, the U.S. State Department, Japan-America societies and others, who all value the skills and knowledge that JET alumni possess. Because some of the first JETs are now well into their professional careers (a number of whom remain in Japan-related professions), they provide an impressive network of professionals who are both a resource to more recent alumni and the greater Japan-related community. It is our goal to tap into this network and utilize the experience, expertise and knowledge of these individuals to strengthen the exchange of knowledge and experience for not only JET alumni, but for their communities as well. Plus, Japan isn’t going anywhere—there will always be a need for individuals who have an intimate knowledge of the culture, which all JETs have. Communication between chapters, at least nationally in the U.S., has been identified as a crucial part of JETAA National’s strategy. Along that subject, has the JETAA Initiative participated in any international outreach or dialogue? We have primarily focused on reaching out to the chapters in the U.S. (though we have been fortunate to meet a few of the representatives from Canada as well, and certainly would be happy to work with them). There hasn’t been much additional dialogue internationally simply because there isn’t much (any) presence at JETAAi, and it is really necessary to get things established first here in the U.S. before focusing beyond that. However, I certainly think that there is great potential to engage the larger JET community internationally at some point, and hope this will happen. How would the international JETAA community figure in the JETAA Initiative’s outlook or strategy? In addition to the above, basically, the more we can enhance the network, the better. On a personal level, like most JETs, my friends on JET came from all over—even after 24 years, I am still in touch with the JETs I met on the program, and they are located in the U.K., Canada, Japan and Singapore, as well as the U.S. I’d love to get all of them connected. The presentations mentioned communicating the findings to the JETAA chapters and community. How are you communicating your findings to people? Are your findings accessible to everyone? We have been fortunate to be included on the agenda for the past two National JETAA USA conferences as well as a Regional Conference in Boston, at which all of the chapters had representation (in Boston, it was 15 of the 19 chapters along with Toronto). At these, we provided information to be shared with their members back home and followed up with links to my presentations. I’ve also had wonderful cooperation from the three U.S. Country Reps, who have made personal phone calls to chapter officers to follow up on issues. All of the presentations I’ve created are also publicly accessible. We will be creating a website and other online outreach over the next year. If you could, what is the one JETAA problem you wish you could solve right now, and why? I think one of the biggest challenges local chapters face is officer/volunteer burnout—most of the time it is only a handful of people who do the brunt of the work, and unfortunately, they get overworked. I’d love to find a way to support the local chapters in some way so that this doesn’t happen. There have been chapters that have lost an entire group of officers at the same time, and with it their institutional knowledge. A national organization could at least provide a repository for chapter information so that if there is a sudden turnover, not everything is lost. Returning to yourself, what will you be tackling next? In year two of the JETAA Initiative, we will be shaping the structure of a national JETAA organization, build the founding board of directors, apply for IRS 501(c)(3) nonprofit status, and initiate a professional development plan enabling the organization to become self-sustaining. In year three, the national organization will focus on governance, chapter engagement and outreach, including development of a membership database. The objective will be to strengthen communication between chapters and alumni through this enhanced network. For more JQ magazine interviews, click here.